The Union Project is raising funds for their Clay Case Program, which puts Clay Cases in local schools. 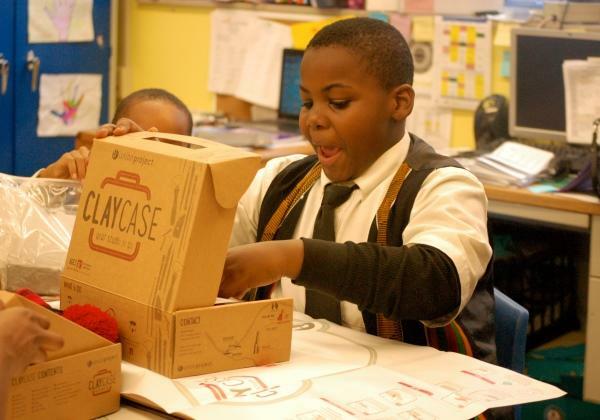 The Clay Case brings together everything a student needs to create with clay at home. This kit is perfect for artists of all skill levels, even beginners. The Clay Case comes with all the materials, tools, instruction, and inspiration to help the student express his or her creative voice. The Clay Case brings families together to be creative and learn about clay. Each student can bring your finished creations to Union Project’s studio to be fired in the kiln, get a Clay Case refill, try out the potter’s wheel, and see artists at work in a community studio. Read about the Brashear Association’s experience working with the Clay Case. ← Pittsburgh Marathon is Almost Here!